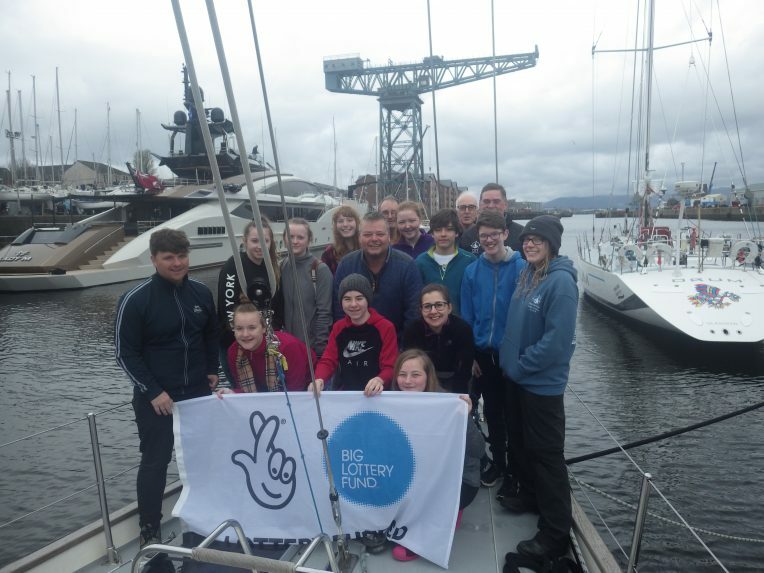 Thanks to Big Lottery Fund Scotland, young carers’ groups from across Scotland have the opportunity to experience the adventure of a lifetime! The CORAL Project (Carers on Residential Adventurous Learning), sees groups of ten young carers and two adult group leaders step on board our boats to take part in a fun five-day residential voyage and enjoy a short respite break. The young carers will help plan the voyage, and will fully contribute whilst on board, with duties including navigating, watch-keeping, and boat-handling. Activities will build friendships, team-working, problem- solving, and communication skills. One young carer who has benefited from sailing with OYT Scotland is Emma-May. She first took part in a voyage with the Falkirk young carers group back in 2015 and loved the experience so that she applied for and was accepted on the OYT Scotland Young Leaders Development Programme (YLDP). Are you involved with a young carers group and interested in sailing with us? Email development@oytscotland.org.uk or call 01475 722 722 to speak to the Development Team.